Trekking is not a mountain climbing but a form of adventure tourism. The only means of travel of this type of traveler is their feet. The trekking person must walk and must carry his own belongings or common items. The term trekking comes from the Afrikaans language and became a word in the English language in the mid-19th century. 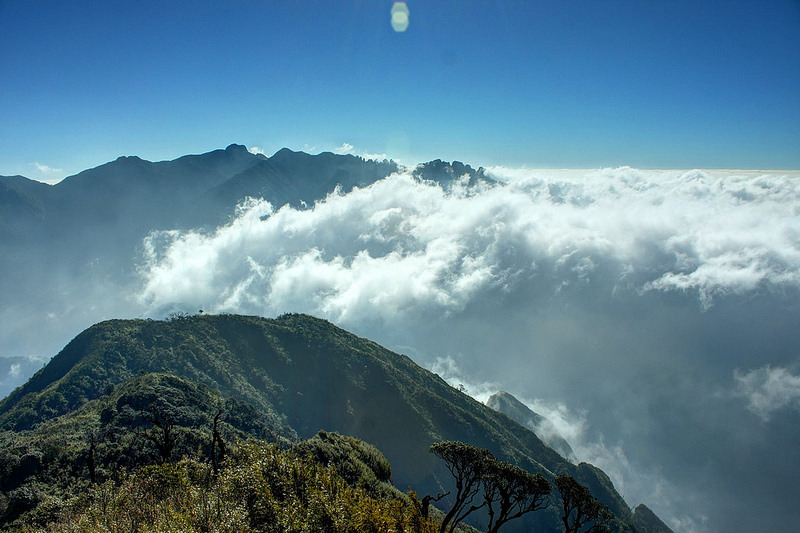 The ideal destination for trekking in Vietnam is upland, remote, remote areas. means of transportation; It takes a lot of time, hard work, even dangerous. The trekking route is often wild but also more exciting surprise. Trekking not only help to train the tough body, satisfy the feeling of adventurous, conquering love … Especially explore the beauty of wild nature, wonderful; harmonize and experience the life and culture of the people in each place where they stop. About professional trekking said: Vietnam’s topography and climate is very suitable to develop this type of tourism. 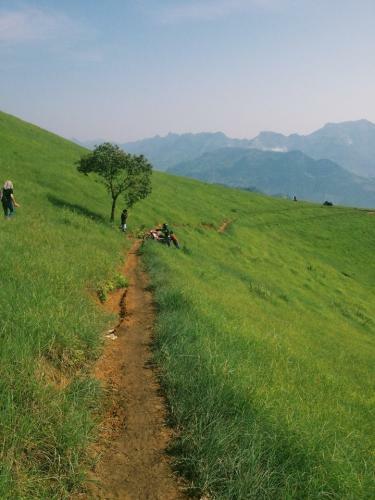 Trekking in Vietnam is not only beautiful scenery but also can combine exercise and mental health. Vietnam also has many trekking destinations such as: Pu Luong Nature Reserve (Thanh Hoa); Hoang Lien National Park (Lao Cai) – the highest peak in Indochina Fansipan; Yen Tu (Quang Ninh); Tam Dao (Vinh Phuc); Bach Ma Mountain (Thua Thien Hue Province); Hon Ba (Nha Trang); Lord Mountain (Ninh Thuan); Ba Den (Tay Ninh) … and recently Ta Cung – Phan Dung road through 3 provinces of Lam Dong, Ninh Thuan, Binh Thuan (this is considered the best trekking road in Vietnam). Trekking is a long experience, including risk factors, sometimes in the forest, over the stream, through the terrain is extremely dangerous, poor living conditions. Therefore, before taking on any trekking trip you should have the most thorough investigation and preparation. First of all, you have to prepare yourself spiritually, learn about the route you will go through such as terrain, natural scenery, customs and habits of compatriots where you stop, experiences of people who have been conquering that street. Especially the mental preparation and good health. In addition, you must prepare a wide hats or hats, long sleeves, thin pants, high boots, thick socks, sticks, knee protection, ankle protection jackets, warm sweaters, hoods … if you are prepared climbing costume is best. Tour Coach also cites some important experiences for those who are preparing for “introductory” trekking that is: Moving distance to be able to support each other in case of trouble; Do not drink too much water because it can lead to fatigue. You should camp by the water, burn a great fire and maintain the fire all night. Study the map of trekking points, calculate the points of movement to avoid risky situations. Preview the weather forecast. Prepare a referral form if the trekking point is a border area or protected area.